I just love the look of total uninhibited joy, and complete indifference to the rain. She was freezing when she came in! 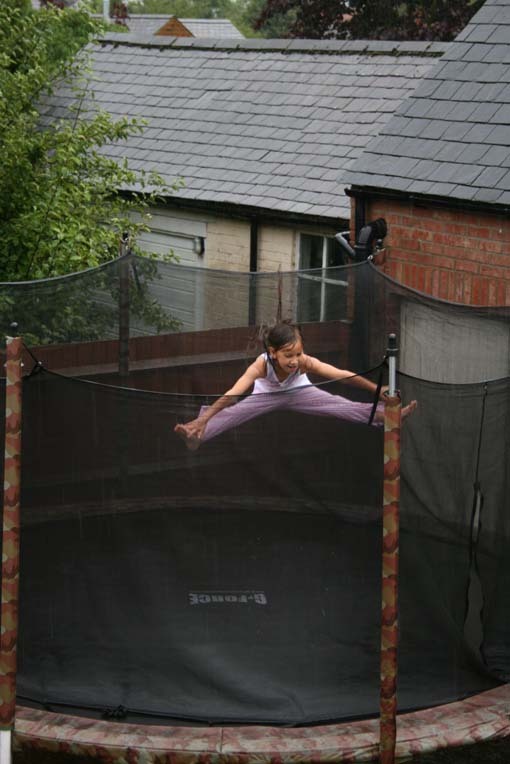 Being over 30 in my pjs in the rain on a trampoline does not seem as cute but how I wish I could do that. Oh and to have no inhibitions or care about getting wet hair! Oh I love this. Playing in the rain is one of the best things ever, especially when it's followed up with warm towels, hot chocolate and a cuddle. Great photos! It looks freezing! 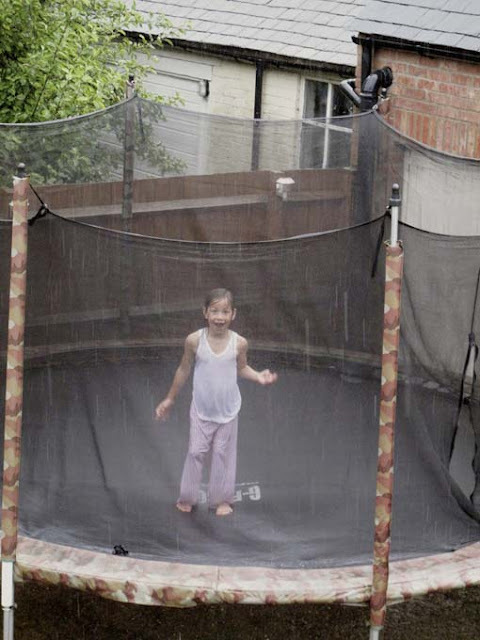 Nothing beats playing in a proper rain shower, but here we only seem to get pretend rain. Gorgeous pictures. Excellent photos! I love the rain providing I can get dried off when I'm finished in it! 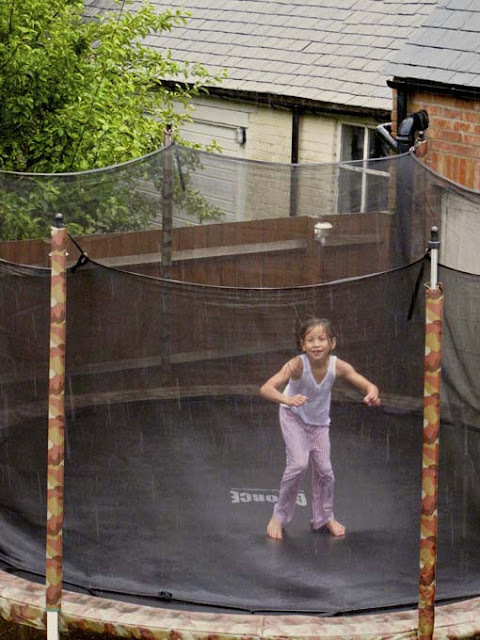 Rain should never stop play, look at how much fun you can have!! Whenever Little Bean looks out of the window and sees the rain she tells me she needs her boots and brella! She won't be deterred either! Great shots! looks like so much fun... me next please! Fantastic! What fun! I love being out in the rain as do my kids! Hilarious! Am glad bear was at nursery today otherwise he'd have wanted to be out on the trampoline in the monsoon! Hope you're having a fab time!!! Wow! Awesome shots, she's really having a blast! Have a great time in NYC - not jealous at all!